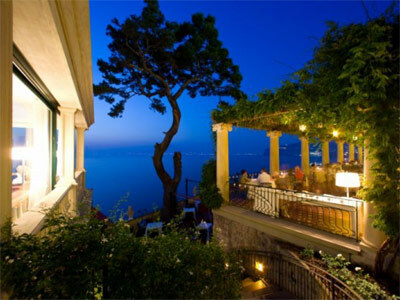 A five-star hotel perched on the cliffs overlooking the Gulf of Naples and Vesuvius. Careful and respectful renovation has maintained its many traditional Roman features whilst offering modern amenities to guests throughout the year. Centrally located with Sorrento centre and the picturesque fishing harbour of Marina Grande just minutes away. Access to its private beach and bathing facilities is provided by lift. For the rest of the story just sit back and enjoy their beautiful video.